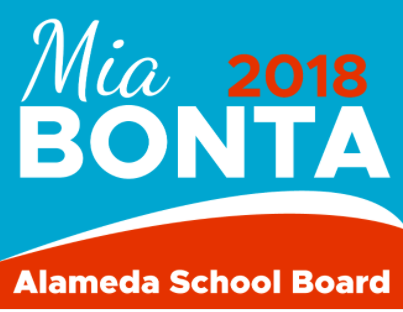 Mia Bonta is running for Alameda School Board in the November 2018 election. You may receive updates from Mia Bonta for Alameda School Board 2018, the sponsor of this fundraiser. Thank you for your contribution. Political contributions are not tax deductible.